In effect, this suggests any authority or body which we consider as Government in common parlance- all Ministries and their departments, Municipal Bodies, Panchayats, and so on. This also includes Courts, UPSC, and Public Sector Undertakings like Nationalised Banks, LIC, and UTI amongst others. It is worth noting that establishments of the Parliament, Legislatures, Judiciary, President and the Governors have also been brought under the surveillance of the citizen. Sub-section d) refers to organisations which are created by a specific notification eg. Deemed Universities which are created by a specific notification. Subclause d) (i) and (ii) mean any non-Government organisations and also private entities which are substantially owned, controlled or financed directly or indirectly by the Government are under the RTI ambit. Thus aided schools and colleges are Public Authorities. When there are significant Government nominees on the boards of companies, or trusts or NGOs this is control by the Government. Mendel, Toby (personal communication, May 13, 2016) contends that besides serving the goals of their organisations the board members are also subject to government direction and that is enough to bring it under the Right to Information law. At times when the Government nominees do not have a majority, it is claimed that the Government does not have control. The plea that if Government nominees are not in complete control the organisation is not a public authority is flawed. It must be noted that the adjective ‘complete’ or ‘pervasive’ control is not mentioned. Where the Government either owns substantial stake, or has control over, or has given substantial finance, these are public authorities, directly covered under the Right to Information Act. The substantial finance can take into account tax-incentives, subsidies and other concessions like land as well. There is some ambiguity about the words ‘owned’ and ‘substantial finance’. The finance could be either as an investment or towards the expenses, or both. The way in which the words have been placed indicates that (d) (i) relates to investments and (d) (ii) relates to the running expenses, projects, and delivery activities. By any norm, whenever over 51 percent of the investment in a body lies with any entity, it is said to be owned by that entity and the Company law also confirms this. The RTI Act mentions ‘owned’ ‘controlled’ and ‘substantially financed’ separately, hence these words have to be assigned some meaning not covered by ownership. It is apparent that the intention of the Parliament is to extend the scope of the right to other organisations, which are not owned by the government, but are financed by government funds or controlled by appropriate Government. It may be noted that no word in any Act can be considered to be superfluous, unless the contradiction is such as to render a significant part meaningless, or it violates the Preamble. Therefore it becomes necessary to consider a situation where an entity may be controlled by Government without ownership or substantial finance like where they control the board of a trust. 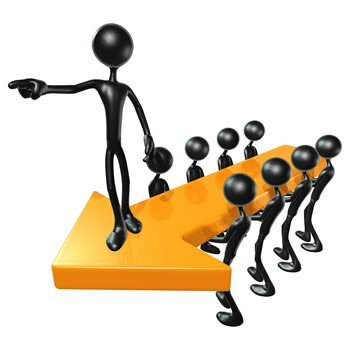 When a Charity Commissioner or Registrar of Societies appoints an administrator to run the affairs of a Trust or Society, or have nominees who are Government servants as mentioned earlier; besides performing their duties as nominees, are also subject to government direction to exercise control. There is an additional view at this juncture. Mendel, Toby (personal communication, May 13, 2016) believes that Government board members are supposed to operate in the interests of the body. But they remain government people and have to follow government policy too, hence the control. It is therefore evident that as per Section 2(h)(i) ‘body substantially financed’ would be a body where neither the ownership nor the control may lie with the Government. The wording ‘substantially financed’ would hence have to be given meaning at less than 51 percent holding. There is an additional view at this juncture. Mendel, Toby (personal communication, May 13, 2016) suggests that there is confusion here between ownership and funding and that they are totally different from the control situation. Company Law gives significant rights to those who own 26 percent of the shares in a Company. No special resolutions may be passed unless 75 percent of the shareholders agrees. Thus, 26% holding represents control. On the other hand, Section 2(6) of the Company law defines “associate company”, in relation to another company as: (6) “associate company”, in relation to another company, means a company in which that other company has a significant influence, but which is not a subsidiary company of the company having such influence and includes a joint venture company. Explanation – For the purposes of this clause, “significant influence” means control of at least twenty per cent of total share capital, or of business decisions under an agreement. The apparent key approach of the Right to Information Act is that the citizens’ money is involved and hence, since the State acts on behalf of the citizens, wherever the State gives substantial money, the citizen has a right to know. The phrase ‘substantial finance’ has not been defined in the Act. However, for the purpose of deciding what constitutes ‘substantial finance’ it may be useful to draw a guideline, instead of arbitrarily deciding each case. In common business parlance ‘substantial finance’ could mean control of over twenty-six percent of total share capital, which would give control over certain significant business decisions. There is an additional view at this juncture. Mendel, Toby (personal communication, May 13, 2016) agrees with the conclusion here i.e. 20-25% but not for this reason. He suggests that this is not a business situation. It is about meeting a threshold of public funding which then attracts obligations. It, therefore, appears reasonable to have a threshold representing 26 percent of the equity. Perhaps 20 percent of the running expenses could be considered as ‘substantial finance’. To obviate the problem which very small organizations may face in meeting the requirements of the Right to Information Act, it may also be reasonable to accept that if an NGO receives an amount - say less than 2 million - it would not be considered as substantial finance. There is an additional view at this juncture. Mendel, Toby (personal communication, July 31, 2016) is of the view that an amount of about 2 million rupees is certainly substantial, even by Canadian standards. This is not defined in the law, and we have sought to give our interpretation to ensure a consistency of approach when determining whether an organization is a public authority. The finance may be provided directly or indirectly by the government. This means either the funds are provided directly by the government, or any organization which is owned by the government, for example, public sector undertakings or banks. This would be indirect finance. It must be noted that the law does not cover entities which exercise public functions unless they are controlled or substantially financed by Government. A private entity which is not financed or controlled by government is not a ‘public authority’ as defined by this act. Public utilities like electricity distribution companies, or those providing and maintaining roads are not ‘public authorities’ as defined by the law unless it can be shown that they are controlled or substantially financed by the government. Many Rights to Information Act users feel that regulatory control should be considered as control. This view is generally not accepted, since almost all bodies are subject to certain regulations, and this would be too wide an interpretation of the law. Created by shrawan on 2018/06/01 14:57.